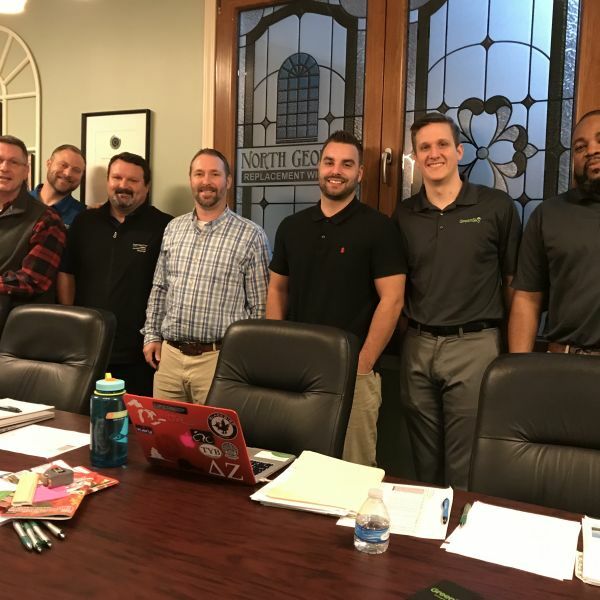 North Georgia Replacement Windows (NGRW) has broadened their financing options with GreenSky®. The Infinity from Marvin fiberglass windows can now be affordable for everyone. Almost 85% of customers are approved for GreenSky financing. “We look forward to providing more flexible payment options through GreenSky. Their simplified application process will be a huge benefit for our customers,” said Ted Kirk, NGRW President. GreenSky® is a financing company founded on the idea that payment, credit and commerce could be enhanced using technology and better user experiences. Their goal is to help us make payments and credit become an asset that empowers and enables commerce, not a distraction or impediment. GreenSky financing applications can be completed and approved in under five minutes. With the smart phone app, our sales team can help you get approved almost instantly. The application process can also be executed through a desktop computer within minutes. “GreenSky’s mission is to help businesses grow and delight their customers. Our vision is to lead the future payments, enabling accelerated commerce and transparency for all,” said David Zalik, GreenSky CEO. GreenSky® has over 14,000 active merchants, over 2.1 million satisfied customers, and over $15 billion loans funded. GreenSky makes it easier for NGRW to offer affordable financing to customers like you. GreenSky is the link between contractors, their customers and banks. North Georgia Replacement Windows is the only Infinity from Marvin dealer in Georgia. Infinity fiberglass products are designed to replicate the look of traditional wood windows and doors while providing modern features and low-maintenance performance.